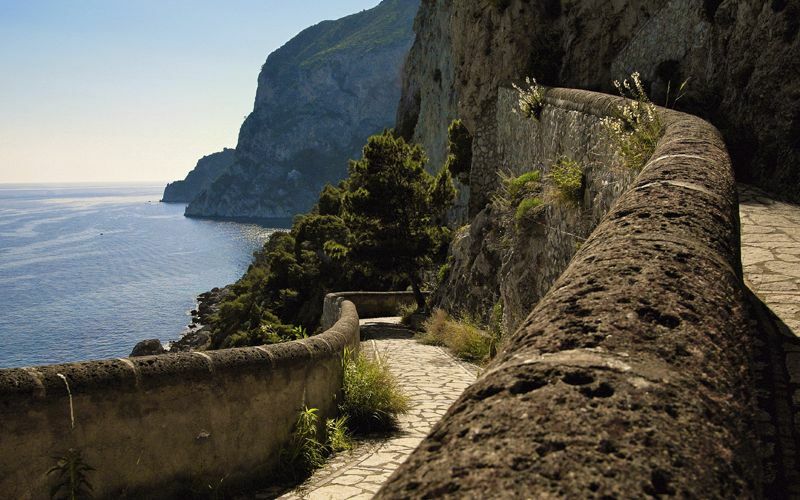 From Capri's Piazzetta: walk along Via Vittorio Emanuele, Via Federico Serena, and, finally, Via Matteotti. 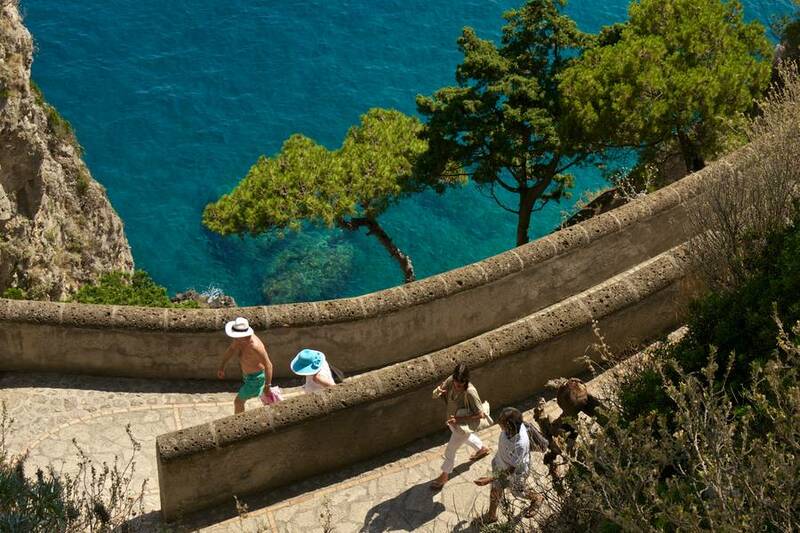 A stroll through the Piazzetta and then down to the Augustus Gardens is the classic itinerary for those who just have a few short hours on Capri and want to enjoy a quick taste of the island. 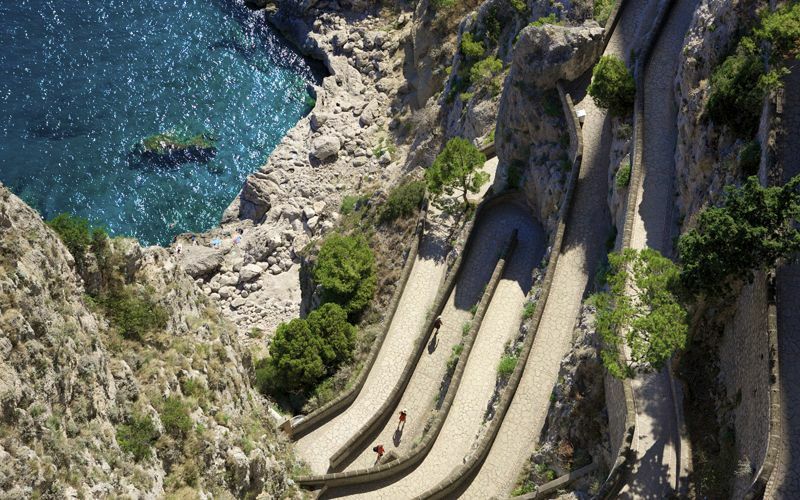 The route to reach the Augustus Gardens takes you directly through the center of the town of Capri, along a series of scenic lanes with a sweeping view from the Marina Piccola Bay at Via Krupp to the Faraglioni rock formations. Entry: EUR 1 from 1 March to 15 November; free for children under 11 (entry Augustus Garden + Charterhouse of St. Giacomo: Euro 3,00). The best times to visit are early morning and late afternoon, when the gardens are less crowded with daytrippers. 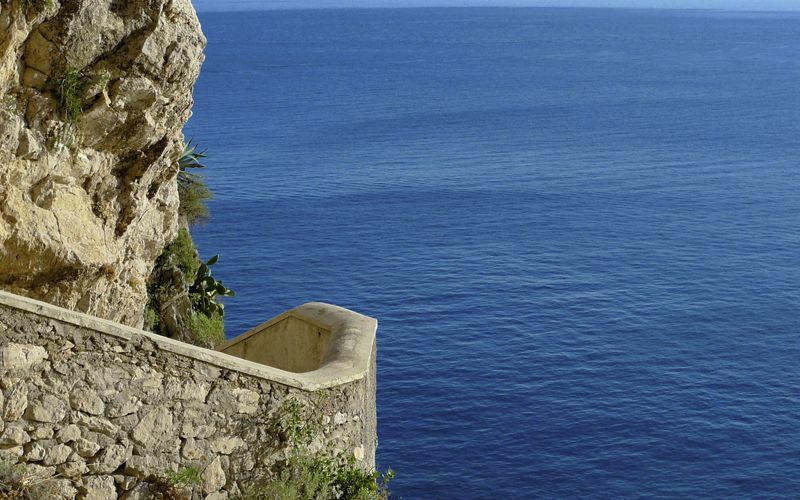 The Augustus Gardens are in a historic property adjacent to the Charterhouse of San Giacomo, purchased by the German industrialist Friedrich Alfred Krupp at the beginning of the 1900s to build his residence on Capri. 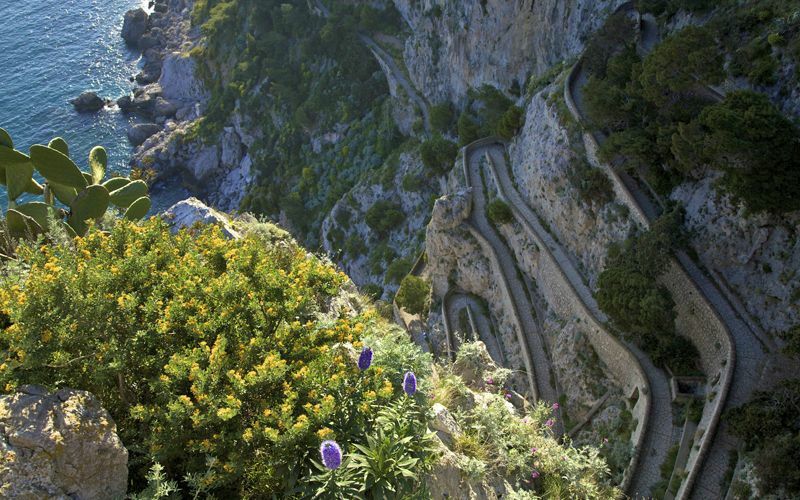 After the First World War, the property was renamed ''The Augustus Gardens", which has remained until today, and holds the most important island flora found on Capri. The nearby Via Krupp was also the work of Friedrich Alfred Krupp. 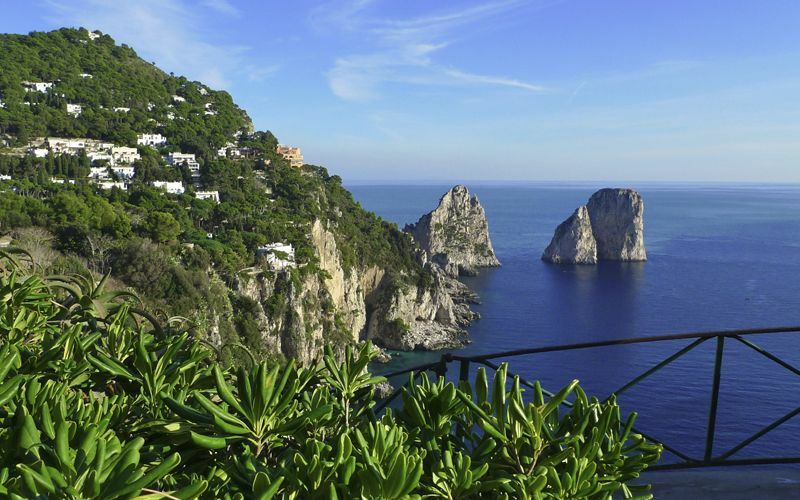 The German steel magnate was an avid marine biologist and loved to visit Capri with his yacht, which he would moor in the Marina Piccola Bay. 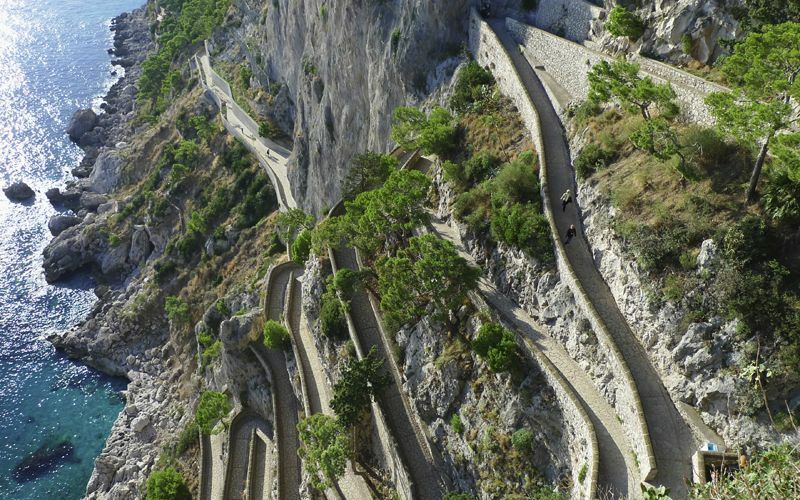 To reach his private boat easily from his suite at the Grand Hotel Quisisana, he commissioned this breathtakingly scenic route which clings to the cliffside as it switchbacks steeply down to the water beneath the Augustus Gardens. Via Krupp is currently closed due to the danger of falling rocks. It can be viewed from above from the scenic overlook in the Augustus Gardens.